We are counting down the days until we leave for the cruise we booked over a year ago. Half of the fun of going on vacation is the planning and anticipation. We had a year to plan and spent hours researching every port and every city we will be in during our 12 day Mediterranean cruise. 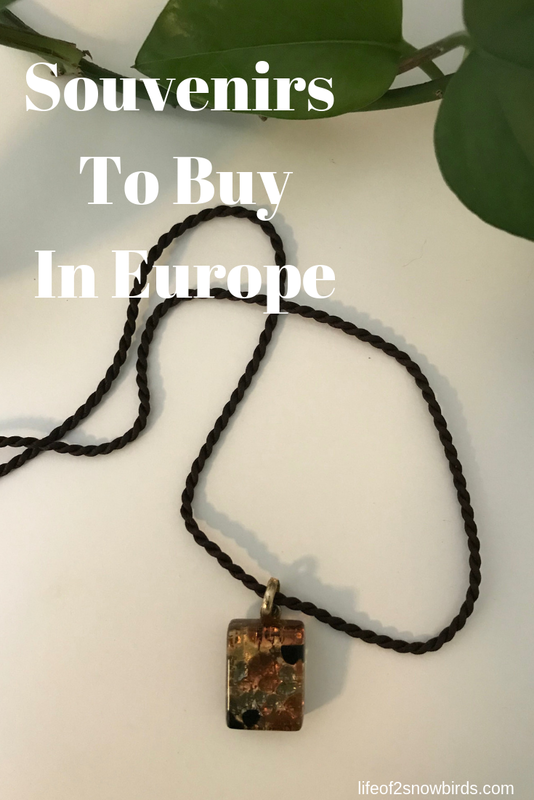 We want to make sure we don't miss seeing something while we are in Europe because we might not ever get back there and to these countries again. Besides for what we have to see and eat (like gelato!) I started thinking about what souvenirs we should look for in each of the countries we will be visiting. We don't want to come back with a suitcase full of magnets and tee shirts! 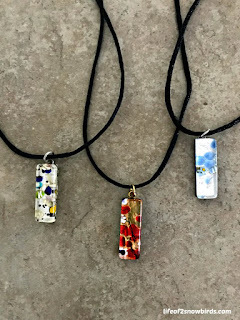 One thing for sure that we will be bringing back is beautiful Murano glass. My sister brought me back a beautiful Murano glass necklace when she visited Italy and I would love to bring her, and the other girls on my list, something as beautiful. We have an excursion booked to take a boat ride to the island of Murano in Venice just so I can go shopping there! Besides for the Murano glass we will want to bring back other memories of our vacation. This is our list of things to look for in the 5 amazing countries we will visit. Turron - is a nutty confection or nougat that can be soft or brittle. I'm sure I will sample each of them then bring both types home because they sound sweet and delicious. Espadrilles - These are traditional cloth shoes made of tough Mediterranean grass. I read that Tyra Banks buys hers in Barcelona. Vermouth - I will be looking for the bodegas that sell their own blended Vermouth (vermut casero) mixed with a variety of spices. Spanish cava - is a wine with no added sugars. I heard that Brut Extra was a popular choice. Caganer figurines - This is a small figurine of a man pooping (sorry!). It represents the equality of all men. You will find these figures in nativity scenes at Christmas. I'm not sure if I will bring one home, but I definitely want to see one! Barca Football Club items - We call it soccer in the US. I think a couple of the guys on our list might like a jersey so we will keep a look out for them. 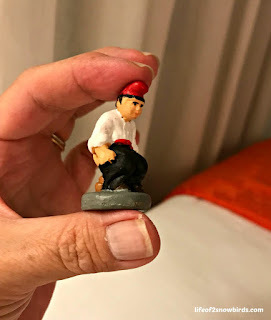 Santons - They are small earthenware figurines that, like the Caganer figurines are used to decorate nativity scenes. Herbes de Provence - When we are back home, miles away from the French Riveria we can still enjoy the flavors of Provencal cuisine. I have a few people in mind that would love a package of this mixture of dried herbs. Terre e Provence - Beautiful, colorful handmade ceramic pottery. I know I'm going to want to bring back at least one piece! Soap - I have been seeing so many posts raving about the soap. I definitely will not be happy with myself if I didn't bring back at least one bar. 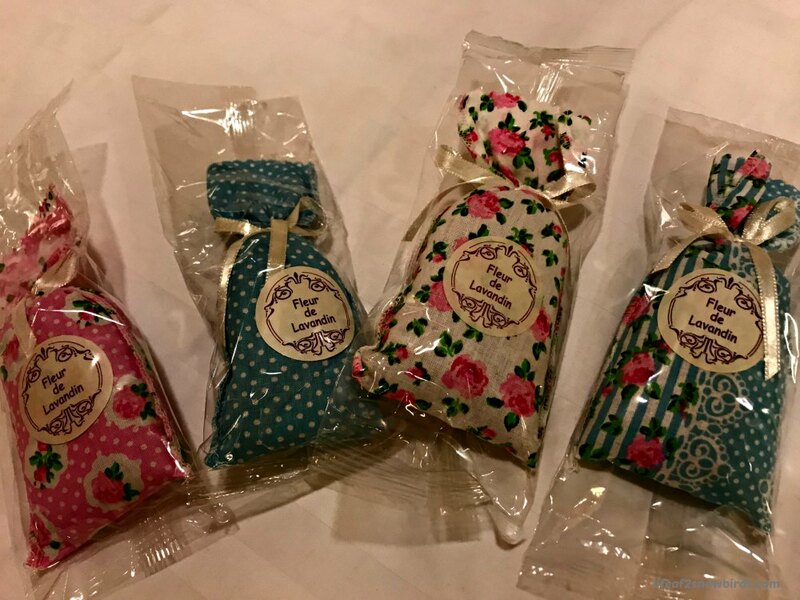 Lavendar bags - This is a typical souvenir of this region. 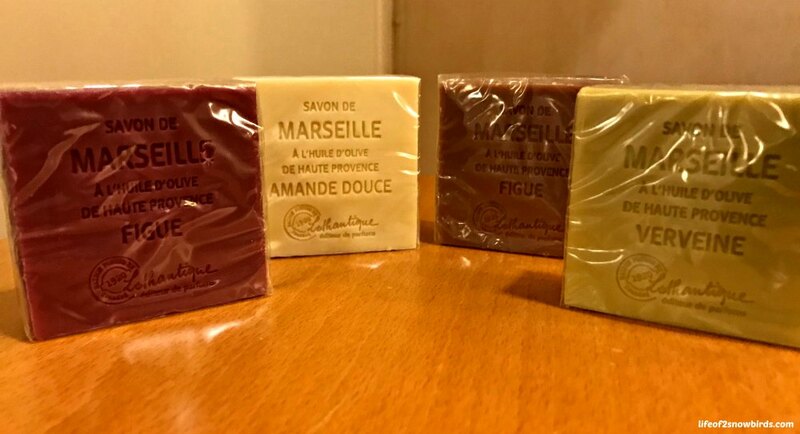 My luggage will smell heavenly if I buy a few of these! 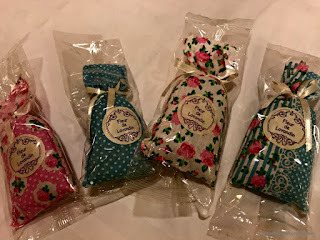 Local household linen - This is another item that seems to be a typical souvenir. I will have to at least find a shop that sells them to have a look. I think they may be a bit too expensive for our budget though. Olive dish - This sounds really unique. It is a special serving dish that is separated into 3 parts. One for the olive, one for the toothpicks and one for the pits. Le Petit Prince - I would like to find a copy of one of France's most loved fairy tales. It would make a great addition to the library we have in our home for our grandson. 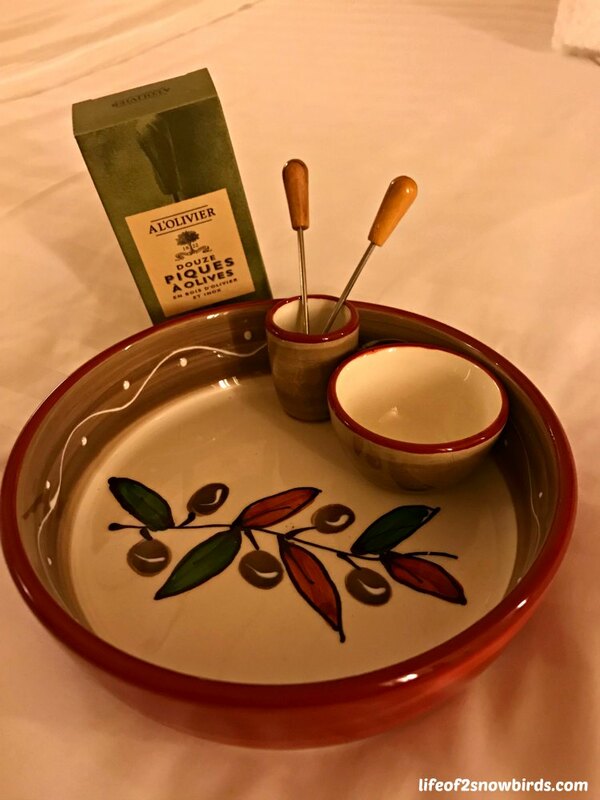 Pottery - Italian pottery is handmade, hand-painted ceramic works of art. They are beautiful and colorful kitchenware. I think they would make a very appreciated gift to bring back. I know that I will not be able to come home without a plate or cup for myself. Murano glass - We are going to the direct source of this beautiful glass when we visit Murano, but I know we can find this all over Italy. 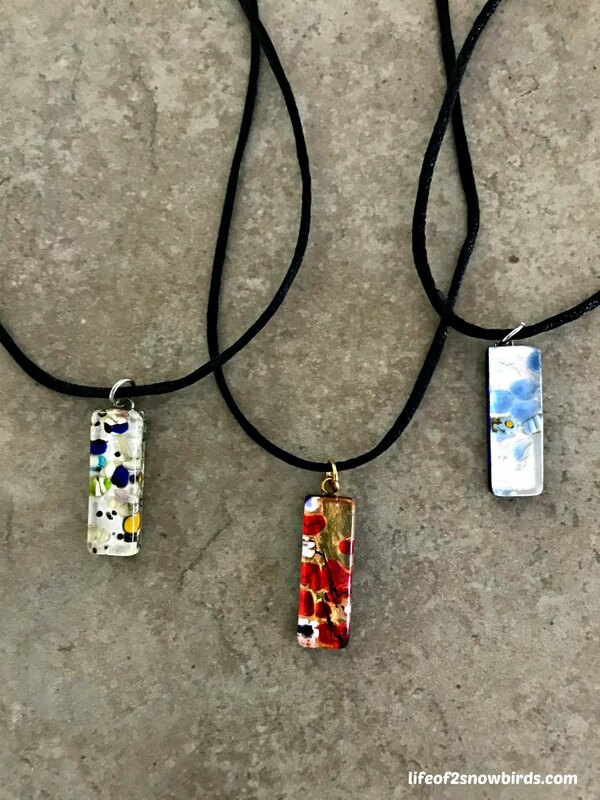 Besides for the glass jewelry, which I know we will be buying, we also will be looking at the other unique, hand-made items made with this glass. We will be keeping an eye out for the letters PRC on any of the glass items as this will tell us it is not authentic. All of the glass should actually come with certificates of authenticity if they are Murano. Chocolate - Perugina, Caffarel and Venchi chocolates are a must for me to bring back...for myself! I heard you can get these chocolates wrapped in beautiful packages so it will definitely be a nice souvenir for that person who cannot fit one more knick-knack into their homes! Salt - I heard there are salts in Italy that you can't find in the US like truffle-speckled. This would make a unique gift. 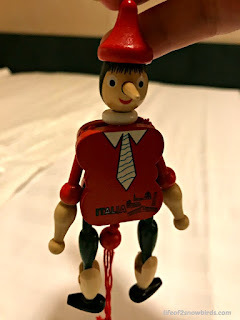 Pinocchio - dolls and other toys with his image. I have a couple of kids on my list. Our bags will probably be filled with Pinocchios! Carnival masks - are beautiful, I heard, and we can find them all over Venice. I will probably look for pins or something a little smaller than an actual mask to bring home though. 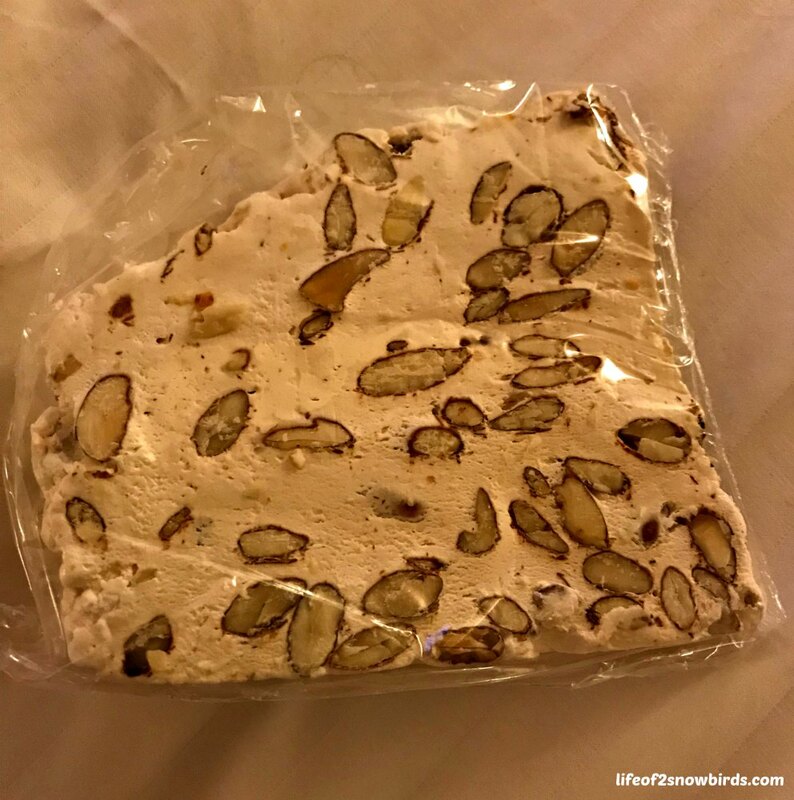 Torrone - is a nougat made with honey and nuts. I will be looking for cream colored candies and not white ones that are sweetened with sugar instead of honey. Wine - Native home-made wine to buy here, and the most famous, are Vranac which is a red wine and for white wine lovers Krstac would be the choice. The best brand sounds like it would be Plantaze. Brandy - A very popular drink is rakija. People of Montenegro often have a shot of this drink in the morning, but more often they have it when they are eating a snack of prosciutto and cheese. 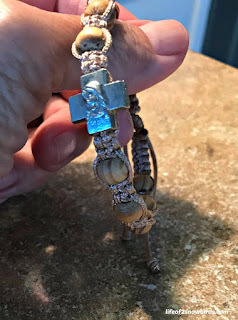 Brojanica - This is a bracelet that doubles as a prayer rope, similar to rosary beads. It is woven from sheep's wool to remind people that "they are only the lambs of the Lord." Kapa - This is an authentic Montenegrin cap. The black on it hints of a beautiful past and the red represents the bloodshed in removing the Ottoman hold on the country. Ties - I just found out from doing this research that Croatia is where the tie was invented. There is a well known tie shop in Split, called Croata, where we can buy ties. I saw a picture of one that had the Glagolitic alphabet* in the design. This would make a very unique and very nice gift. *The Glagolitic alphabet is an ancient slavic alphabet that was created in 9th century and used for over 1,000 years. These letters can be seen on many different souvenirs you can buy in Croatia. Licitar heart - These are heart shaped honey cookies you give to show your love to someone. They are beautifully decorated and people use them to decorate their Christmas trees. Croatian wattle - It is a special design found on many churches. We can buy crosses with this design on them in Christian souvenir shops. Sibeviks button - This is rarely used as a button but can be found on jewelry. The button is hollow on the inside and beautifully ornamented on the outside. 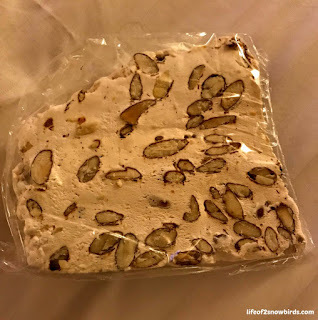 Kras candy - Their specialty is Bajadera which is a nougat candy. 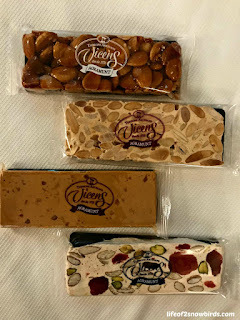 They also make delicious pralines (Griotte) and milk chocolate (Dorina). Morcic - This is a Croatian good luck charm. It is a black head wearing a turban or plume. It is usually found on earrings, rings, pins and brooches. 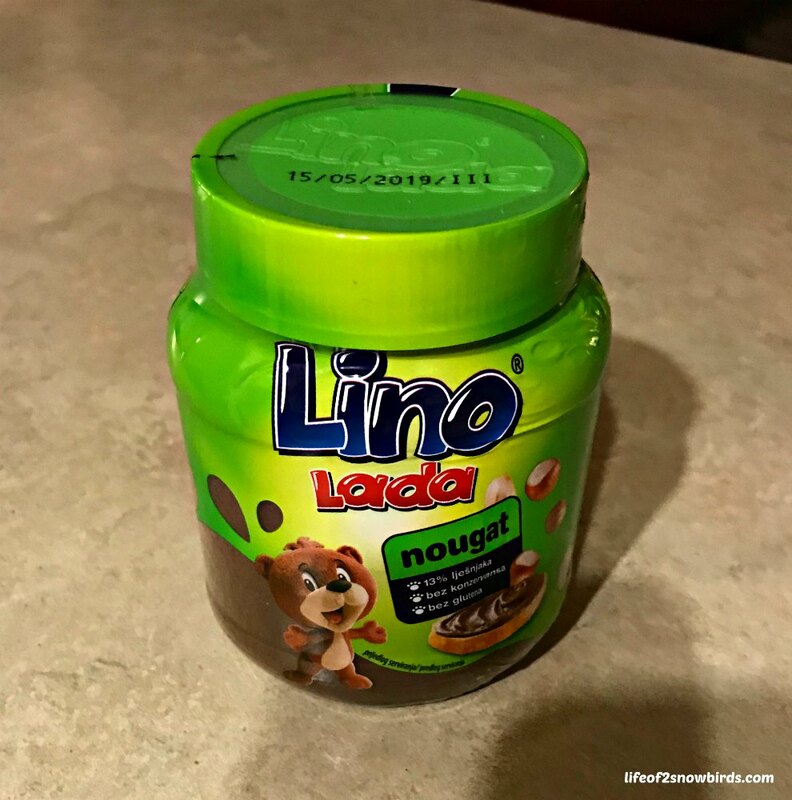 Linolada - I took note of this snack because I know my daughter will love it as it supposedly is "even better than Nutella"! I like to buy ornaments when we are on vacation to display on our Christmas tree. I love seeing them once a year and reminiscing about the trip. I will try to find one in each of the five countries. 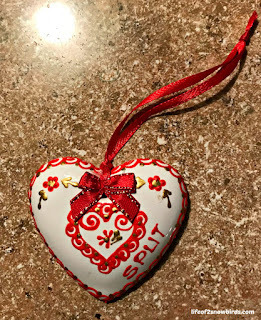 I know the ornament I will buy in Croatia will be the Licitar heart. Another memory jolter for me is music. I will try my best to buy some kind of CD that will bring back memories of our vacation. I am thinking that I might also be looking for a bigger suitcase. Either that or we'll just plan another trip so I can finish my shopping. Note: We are back so I am updating this post with pictures. We actually found, and bought, lots of these souvenirs! Yes. Especially the lace, which was beautiful but I saw a table runner that had a very tiny bit of lacework on it and it was over $100.00. That's when I stopped looking at the lace! 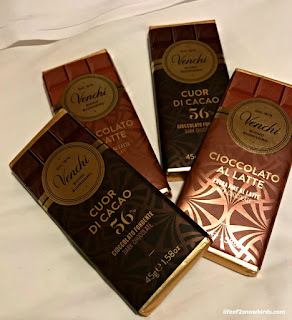 I am sure this will be a once in a lifetime trip so I wanted to make sure I shopped for things I would not be able to find anywhere besides for in the country or city we were in. Thank you for hosting such a nice party! I am sure you will love your visit to Europe. There really are so many things to look out for! I have to confess that, despite having been to Murano, the most beautiful piece of Murano glass we bought was from the US. It must have been imported as it was authentic and properly certified. I had resisted in Murano itself as it seemed like such a hard sell. I treasure the piece we brought back via the US though! Thank you for sharing, and for being a part of the Hearth and Soul Link Party. Hope to see you again this week. Have a great week ahead! That is wonderful that you found a piece of Murano glass that you love, but in the US! We had such a small amount of time to spend in Murano and I couldn't really shop at all so I was disappointed but I am so happy to know that I can find it here! 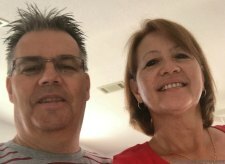 Thanks for sharing and for hosting your nice party every week! I love your list of things to consider! I also like to buy ornaments when we travel! They are such a fun reminder of a special time! Thank you for sharing at Celebrate It! It's so nice to open the box of ornaments and be flooded with wonderful memories isn't it? Thank you so much for sharing your thoughts and for hosting Celebrate It every week! The Pinocchio is too cute! I want one! Thank you for sharing on Merry Monday! Hope to see ya next week! Yes. They were all over the place and came in all shapes and sizes. 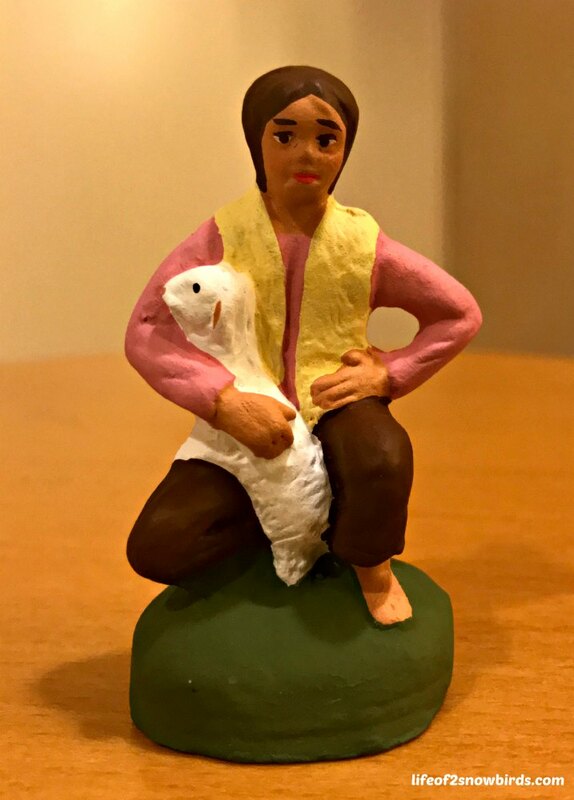 I bought this one for my son to put on his Christmas tree!